Acne is a skin condition caused by hair follicles that become clogged by oil and dead skin cells. Other factors that contribute to acne breakouts include excess oil production, bacteria, hormones, and stress. Depending on the severity and how it is treated, acne can cause scarring on the skin. 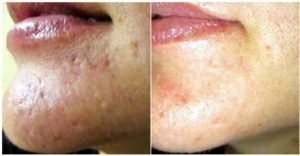 Treatment with the Eclipse MircoPen® (automated micro-needling) can help diminish the appearance of acne scars. 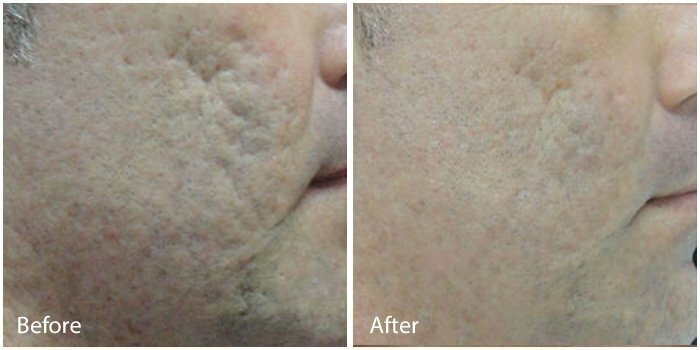 Automated micro-needling is an innovation in aesthetics for the treatment of the appearance of fine lines, acne scars, and the skin’s texture, tone, and color. The goal is to achieve renewed, healthier-looking skin. A series of treatments usually required for optimal results. Sublative Rejuvenation is the only technology proven to reduce moderate to severe acne scars for all skin types. Sublative Rejuvenation utilizes radiofrequency sublation to place heat energy effectively into the dermis. Sublative rejuvenation works from the inside out, targeting collagen production required for treating acne scars. A series of treatments usually required for optimal results.